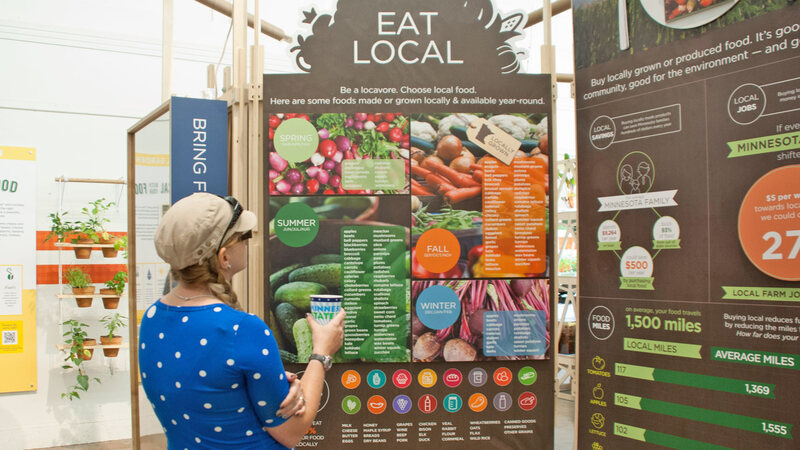 This educational, interactive exhibit inspires Minnesotans to get connected to the food they eat. The actions we take every day matter, as we are directly linked to our food. Centering around six areas of action – Buy Local; Eat Local; Grow Food; Nurture Soil; Promote Justice; and Reduce Waste, The Common Table: Minnesota Eats exhibit provides a learning opportunity and takeaway for every age and interest. The exhibit features various garden types, including an aquaponics system, more than 200 edible plants, an interactive foodscape and waste reduction kitchen, as well as dirt and compost displays, all informed by members of the local food community. Volunteer at The Common Table!